Katy Perry and Taylor Swift have both mastered the art of shading each other in interviews, and Katy’s at it again in her new interview with Vogue Magazine – dissing Taylor Swift, but only if you’re reading between the lines. The interview itself is fairly straightforward, with Katy talking about her life, her career, her religion, and politics. However, when the conversation does come to politics, Katy throws some pretty obvious shade at Taylor Swift, with Vogue interpreting it as such. Criticism was heaped on Taylor Swift during the 2016 election cycle because she stayed out of politics, wouldn’t discuss her political stance or her preference for candidates, which many assumed was because she was afraid of losing fans or upsetting people. However, Katy clearly doesn’t agree with staying silent – especially on politics – as she was especially outspoken during the election cycle, and even more so after the election results. Granted, this particular bit of shade seemed tailored for Taylor Swift, because Katy pointedly makes the comment about ‘not standing for anything’. 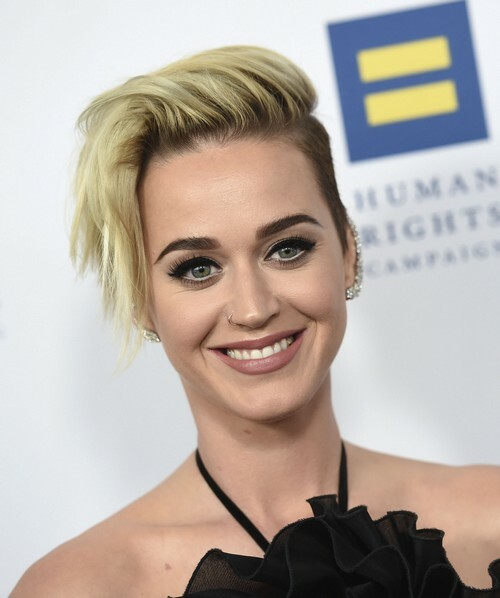 If she was just discussing her own political views, you would assume that she wouldn’t go out of her way to throw that tidbit in – but she did, and Vogue’s interpretation is also a dead giveaway concerning the intent behind Katy’s words. However, it is an important message that Katy’s trying to impart, so perhaps we’re all reading too much into it. As previously stated, both Katy Perry and Taylor Swift have become experts on shading each other on social media and through interviews, and this might just be another shot fired from Katy’s arsenal that no one will notice except for Taylor. What do you guys think of Katy Perry’s and Taylor Swift’s ongoing feud, and this latest addition to it? Come to CDL for all the hot news on Katy Perry and Taylor Swift. Taylor Swift Trolled By Katy Perry With Leopard Jacket: Singer Igniting Another Public Feud?